Idaho Transportation Department officials say they are not requesting a funding boost from state lawmakers despite facing a $165.3 million annual shortfall to maintain the state's aging bridges and roads. ITD Director Brian Ness presented the $707.7 million budget to the Joint Finance Appropriations budget committee on Thursday. However, only $350 million of the agency's budget will come from state funds if the Legislature approves it later this year. Ness said that ITD is attempting to fill the funding gap with approximately $50 million that now comes from fees, car and truck registration and a gas tax that was implemented last year. Another $50 million funneled from surplus general funds to the department was awarded after a heated legislative battle last year. Ness also said he plans on reducing the ITD workforce by another 20 positions starting in July. Ness has reduced his staff by 155 employees since 2010. The Broadway Bridge is the preferred route for thousands of cars each day. But commuters will have to find a different route once the bridge closes down January 4. You may have noticed higher registration fees when you’ve paid for new stickers for your car or truck. 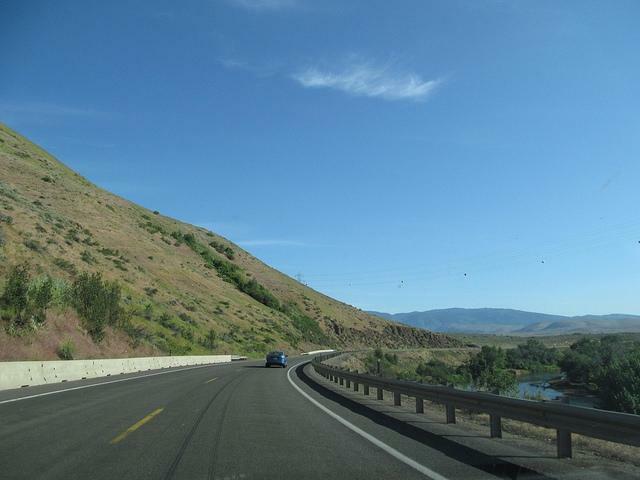 That’s part of a new law, and a new revenue stream for the Idaho Transportation Department’s (ITD) backlog in road restoration and preservation. Now ITD says it is already wrapping up the first projects using the new influx of cash. If you're looking for milepost 420, you won't find it in Idaho.